Baltic Sea is relatively narrow, densely exploited and fragile body of water. Lawful use of Baltic Sea as a way of transport and as a pool of resources is of vital importance for all nine nations surrounding it. Maintaining good order and protecting interests of nation at sea has traditionally been the task for navies or coastguards. At present time there are again some discussions in Estonia about obligations of the navy and the coastguard and of possibilities of cooperation between or even merging of those two institutions. In light of those debates it would be wise to look, how are similar tasks solved by our neighbours, and which are current developments in this matter. This writing has two aims. First is to describe current organization of coastguards in Baltic Sea region and the role of navies in those organizations. Secondary is to represent possibilities for bigger role of navies in this matter in present moment and near future. The aim of this writing is not to evaluate or grade different ways currently used for fulfilling coastguard tasks. For that purpose I will first describe organization of coastguards in Baltic Sea region, try to find out reasons for different organizations and classify them in four categories proposed by Geoffrey Till.After that I will argument for bigger role for navies in coastguard matters and for importance of cooperation between navies and coastguards and between states. United Nations Convention oft the Law of the Sea gives coastal states extensive rights to stop, control and even arrest vessels which are not innocent passing or are violating laws of coastal nation and to protect his interests in his territorial waters.1 Enforcing those rights is usually obligation of coast guard or other service acting in coast guard duties. Maritime search and rescue (SAR) and disposal of maritime pollution are also common duties of coastguard. This chapter will describe how coastguards are organized in different countries around Baltic Sea. Russian Federal Border Service is part of Federal Security Service (FSB) and is a strong fighting force, probably the strongest among coastguards in the region, maintaining a strong fleet of surface vessels, including frigates.2 Duties of Federal Border Service are among the rest surveillance and protection of border, territorial waters and exclusive economic zone (EEZ) of Russian Federation, fishery protection and SAR. Border guard in Russia has always been subordinated to security agencies.3 It is logical while in soviet period border guard was obligated to force strict border regime, to check escapees and to counter possible invaders from hostile West. Finnish coastguard has probably been shaped by geographical situation and by vicinity to Russia. Long coastline an extensive populated archipelago creates a demand for a strong organization for surveillance and SAR. Neighbourhood to unpredictable and potentially aggressive Russia demands good situational awareness for early warning for potential hostilities and non military organization to fulfil those duties. Coastguard duties in Finland are fulfilled by Gulf of Finland and West Finland Coastguard Districts and by Air Patrol Squadron all subordinated to border guard. Their duties are border surveillance, SAR, safety at sea, protection of maritime environment, control and surveillance of waterborne traffic. Sweden has long coastline and extensive archipelago similar to Finland. The big difference to Finland is absence of a potentially hostile neighbour and probably much stricter relation to civilian control over armed forces. Swedish coastguard can look back to a long history. It was established in 1682 as a pair of beach riders whose duty was to prevent smuggling and plundering of wrecks8 and has performance well by the side of the navy since then. Nowadays Swedish Coast Guard is a civilian authority under jurisdiction of the Ministry of Defence with own ships, hovercrafts, helicopters and diving unit.9 Duties of coastguard are marine surveillance, environmental response, border and goods control at sea and fishery control. Though authority responsible for aeronautical and maritime SAR in Sweden is the Swedish Maritime Administration10, the actual SAR operations are conducted by the coastguard. Coastguard cooperates closely with Swedish Police, Swedish Customs, Swedish Board of Fisheries, Swedish Maritime Administration and other authorities.11 Swedish Navy is not directly involved in coastguard duties but naval units must be capable of being used in support of the civil community12 and navy contributes to recognized maritime picture compilation13. Danish way to solve the issue is totally different from Swedish, Finnish or Russian way. Danish territorial waters and EEZ are much more extensive then other states around Baltic Sea (except Russia of course) reaching from Baltic Sea to Greenland and Faroe Islands. Those waters need to be monitored and protected. The main tasks in this vast and remote area in North Sea are ice breaking, fishery protection and demonstration of presence of the state. An other important and complicated task is maintaining maritime awareness in Danish straits – probably the most dense maritime traffic area in Baltic Sea with average 200 vessels crossing daily.14 To fulfil those duties a strong and robust organization is needed. Danish Navy has guarded Danish straits and demanded taxis for its crossing since XVI century, long time before establishing of any border guard what so ewer, and earned high respect in Danish society. Lithuania has the shortest coastline but the strongest and most balanced navy of the three Baltic States since reestablishment of independence. In 1993 Lithuanian Navy has taken over coastal radar stations from Russian Baltic Fleet and got that way also duty of maritime surveillance. Maritime Rescue Coordination Centre was merged to navy in 2010 to increase sufficiency and reduce reaction times. Before that was SAR coordination done by independent Maritime Rescue Coordination Centre but the centre was dependant to navy as it had no own maritime assets. It is also been claimed that the Maritime Rescue Coordination Centre was not fit to fulfil his duties and had to be reinforced by officers from navy.35Lithuanian geography has also given his part to that development. Curonian Spit divides Lithuanian territorial water in two parts: Curonian Lagoon and the rest. So it has been simple to divide areas of responsibility between the navy and the border guard: border guard’s responsibilities lay east from the spit, including the lagoon, and navy’s area of responsibility lays west of the Spit. Latvian Naval Flotilla is in the moment in a period of change. Latvian National Armed Forces have given up conscription and developed to a fully professional service to be more able to fulfil international tasks abroad. As a result of process of reorganization and consolidation of armed forces Latvian Navy has been reorganized to less independent Latvian Naval Flotilla. Previously independent Coast Guard Service has been merged to the navy already in 2004.40 Main reasons for that were cost effectiveness and need to provide broader and commonly understandable tasks for navy personnel.41 In current time also economic crisis and financial concerns are impacting the evolution of navy and coastguard in Latvia. As shown are duties of coastguards in Baltic Sea region fulfilled by different institutions in different ways. Geoffrey Till divides coastguards in 4 types. First is the US Coast Guard model – a strong independent organization with own fleet. US Navy has no right to arrest ships or personnel or even to engage in maritime interception operations of merchant ships, this are purely duties of the Coast Guard. Second is the British model – duties of coastguard are divided between several government and even voluntary organizations. Third type is the naval coastguards – it is rune by navy but differentiated from the rest of naval service. Forth type is navy as coastguard – navy fulfils all duties of coastguard and naval units are primarily designed to protect and enforce national rights in territorial waters.54 Though theoretical models can seldom perfectly fit in real life it is possible to classify Baltic Sea coastguards as shown in table 1. Table 2 shows more specifically division of coastguard duties between different administrations in Baltic Sea states. Such variety in relatively small and coherent Baltic Sea region is not easy to explain. Geography and economy have definitely some influence on build up of coastguard organizations, but probably most important are historical and political reasons. The role of the navies is changing and international cooperation is one major aspect in this evolution. The sea has always been one interconnected system, “the great common”. Fish or pollution recognize no state borders. Passage of seas, with some restrictions of course, is allowed to everybody. 90% of goods are transported by sea55. World’s population harvests 20% of his daily protein from the seas. Important sources as oil and gas lay on the bottom of the seas.56 Globalizing world makes the sea more “common” than it ewer had been. Strong nongovernmental organizations use the sea for their purposes. Modern “just enough, just on time” transportation is very vulnerable to stopping of any kind.57 Major shipping and environmental accidents influence many people. The Wise Pen Team states in his final report of 2011 that “The character of the seas has changed. From being an open space where freedom was the rule, the seas have become a shared, common “good” for humanity, vast but fragile and needing worldwide management and protection”.58 At the same time major state against state naval campaigns have become less likely and many states have cut their expenditures on military, including navy. The most important tool for maintaining the “good order at sea” is international cooperation. 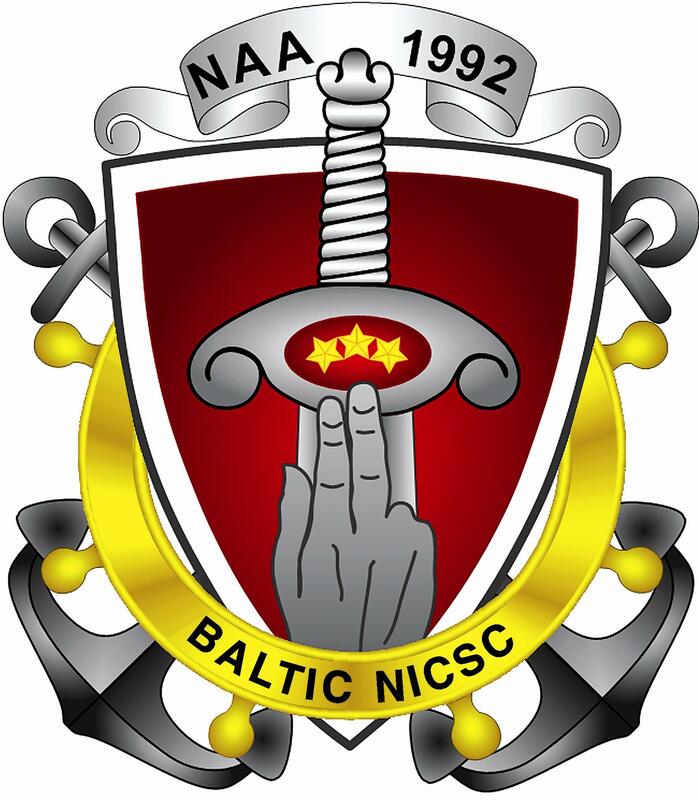 “A Cooperative Strategy for 21st Century Seapower” stresses that “No one nation has the resources required to provide safety and security throughout the entire maritime domain” and that states have to cooperate, especially to increase “maritime domain awareness” and to “expand intelligence, surveillance and reconnaissance capability and capacity”.62 Baltic Sea is relatively small and confined but heavily exploited body of water. It is one of most important ways of transportation and a very important source of resources for states surrounding it. So is it just logical that international cooperation of maritime organizations around Baltic Sea has steadily grove. Common areas for cooperation are SAR, environmental protection, surveillance of suspicious traffic and fight with smuggling, prevention of human trafficking and illegal migration. More seldom are cooperation in matters of training and support by materiel and personnel. All neighbouring states around Baltic Sea have some kind of bilateral agreements. There are also regional cooperation projects, for example between Baltic and Scandinavian States.63Baltic Sea Region Border Control Cooperation (BSRBCC) incorporates all states around Baltic Sea and Norway.64The Schengen treaty and abolition of boarder control inside European Union have made the control on European Union outer boarder even more important and give birth to Frontex – the European Union agency coordinating operational cooperation of border security between member states.Frontex gathers and collates information to create a clear picture of the ongoing situation at European Unions frontiers, coordinates joint operations, establishes common training standards for border guards, manages pooled resources and assists member states in the co-ordination of return flights.65 One Frontex operation is ongoing right now: helping Italia to face wave of refugees and immigrants from North Africa. 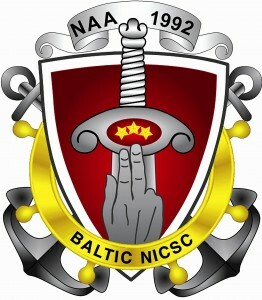 The organization of coastguard in relatively small and coherent Baltic Sea region is surprisingly diverse, arching from navies fulfilling whole spectrum of coastguard duties over strong and independent coastguard organizations to complicated systems of many independent organizations working for common goal. Reasons for such variety can be geographical and economical, but most importantly historical and political. Lithuania and Latvia have recently fully incorporated their coastguards to the navies and Estonia is probably moving in the same direction. Danish Navy has fulfilled coastguard duties almost from the beginning of its existence. This might be the tendency for the future but it is too early to draw final conclusions because most of the countries in the region still maintain independent coastguards or a mixture of different departments fulfilling the role of coastguard. The role of the navies in modern time is changing. Reasons for that are lack of a strong enemy state and cut of military expenditures for many countries on one side and globalizing world with strong non governmental actors and common interest of nations on others side. Navies are involving from purely war fighting force to more flexible organizations protecting “good order at sea” and fulfilling constabulary duties on global and regional level. For those purposes a closer cooperation between navies and between navies and coastguards is inevitable. Navies and coastguards will close each other and the differences between duties of those organizations will become fuzzier. Sea is the great common that connects in many ways almost all nations of the world. Baltic Sea is a very important transport way and pool of resources for all states surrounding it. Protecting and guarding of Baltic Sea is in interests of all states of the region. That reality fosters maritime cooperation between the states in the region, particularly in spheres concerning of or close to coastguards. Forthcoming globalization and rise of nongovernmental actors will bring this process even further. The Schengen treaty and abolition of boarder control inside European Union has given an additional boost to cooperation of coastguards of European Union states. The Wise Pen Teams final report of 2010 emphasizes need for bigger role of the navies contributing to maritime situational awareness and maritime security inside European Union. SUCBAS as cooperation project between navies in maritime situation awareness that can well be one step in that direction. Duty fulfilled by a particular service is marked with +. 16 Maritime Assistance Service functions as a central maritime contact point for shipping in and around Danish territorial waters. The primary mission of the service is to respond coastal authorities or ships requiring assistance and to alert responsible authorities. Maritime Assistance Service is also contact to maritime authorities about administrative questions and to salvage companies in the event of mechanical breakdown, collision or grounding. 23 As Federal Border Guard in Bight of Lybeck (Bundesgrenzschutz in Lübecker Bucht). The maritime part of border guard had already existed from 1951 to 1956 but in 1956 it was merged to Federal German Navy. 67 COI – contact of interest; VOCI – vessel of collective interest; CCOI – critical contact of interest. NATO COI/VOCI/CCOI List is list of potentially hostile or suspicious vessels.